What: BarkBox is a subscription box for dogs filled with 4-6 treat, toy, and sometimes hygiene items. Boxes are curated according to your dog's size. For dogs with strong jaws, you can also opt for a box with durable toys; just send BarkBox an email to let them know you'd like the heavy chewer option. For reference, this review is for a heavy chewer medium-dog box. Allergy-conscious boxes are also available. Now that basketball season is behind us, baseball is kicking in. I gotta admit, I'm a total dunce when it comes to baseball, but apparently the people at Barkbox aren't. 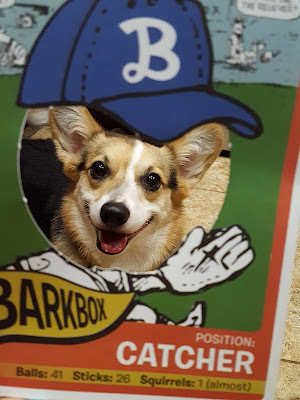 At least not when it comes to picking out super pawsome stuff about America's favorite pastime. I wish Macho was a better sport but oh well, you can't teach a grumpy old man new tricks. Unless the trick involves figuring out how to find a treat. R2P Pet Lets Go Mutts! Foam Finger (Value $10) - I'm starting with my favorite things. I'm so happy that we've been getting toys that can withstand my little chewer's jaws. I'm happy to report that the phone booth from March's box is doing a fabulous job of holding together. Neither dog has been able to puncture it thanks to the rigid internal structure. This foam finger is softer, but the nylon feels thick and durable. I can't tell if there's stuffing inside but I don't think so. You have to squeeze it pretty hard to get the squeaker to make noise but I take that as a sign that it will be able to withstand my little gremlins. 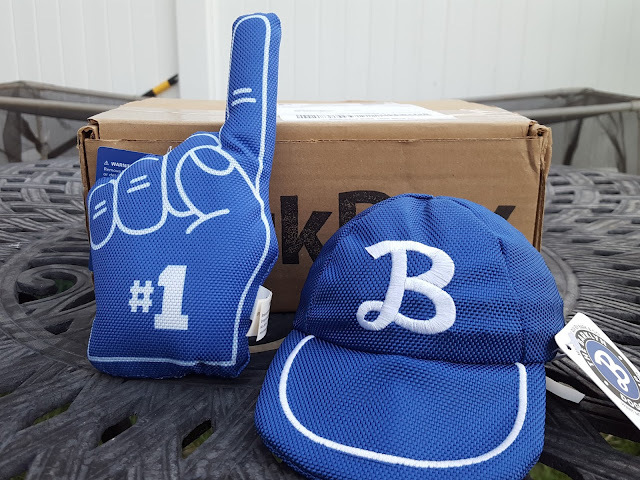 Barklyn Doggers Cap (Value: $12) - This cap is made out of the same nylon material as the foam finger, plus it has a spiky squeaker inside. I haven't given this to the gremlins yet. I'm kind of doubtful that Pebbles can even fit this in her mouth. But we'll see; where there's a will, there's a way. How cute are these treats?! 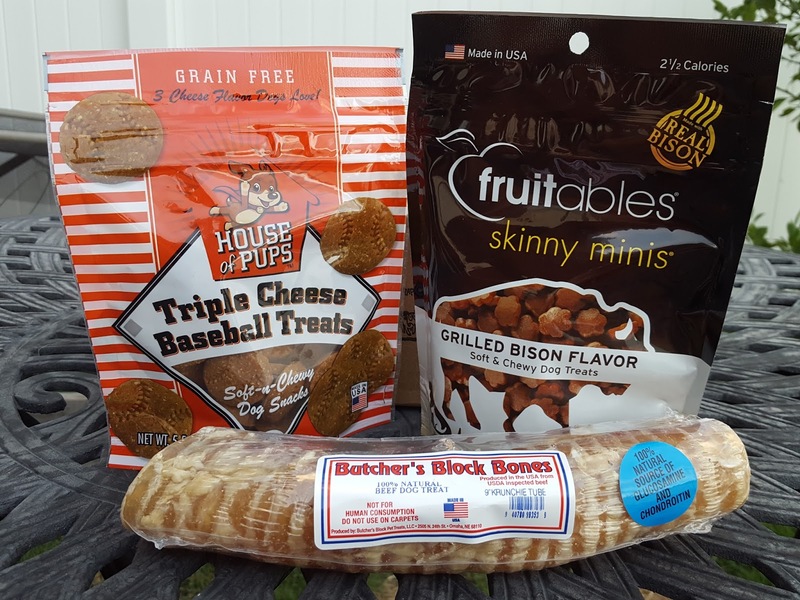 Fruitables Skinny Minis - Grilled Bison Flavor (5oz value: $7) - We're longtime fans of Fruitables skinny minis because they make great training treats. These are made with real bison and are only 2 1/2 calories per piece so I don't have to feel bad about giving Macho a jackpot when he finally learns to poop in the toilet. Butcher's Block Beef Trachea (7" chew value: $7) - We got one of these a couple of boxes ago. I'm hoping that these tracheas are becoming the new Barkbox staple. They last much longer than the Etta Says chews that we always used to get, and they're loaded with glucosamine and chondroitin which are good for joint health. Love it, love it, LOVE IT! 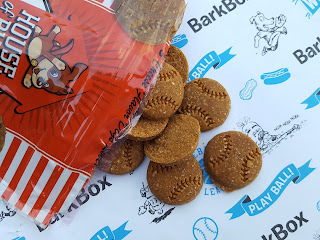 Ever since I switched over to the tough chewer box, I haven't given away a single Barkbox item. Most have been canvas/nylon or rubber, but we've gotten a few plush toys too. Fortunately, they all contained some kind of secondary item inside (rope, ball, etc) that the dogs can still play with long after they've ripped out the stuffing. 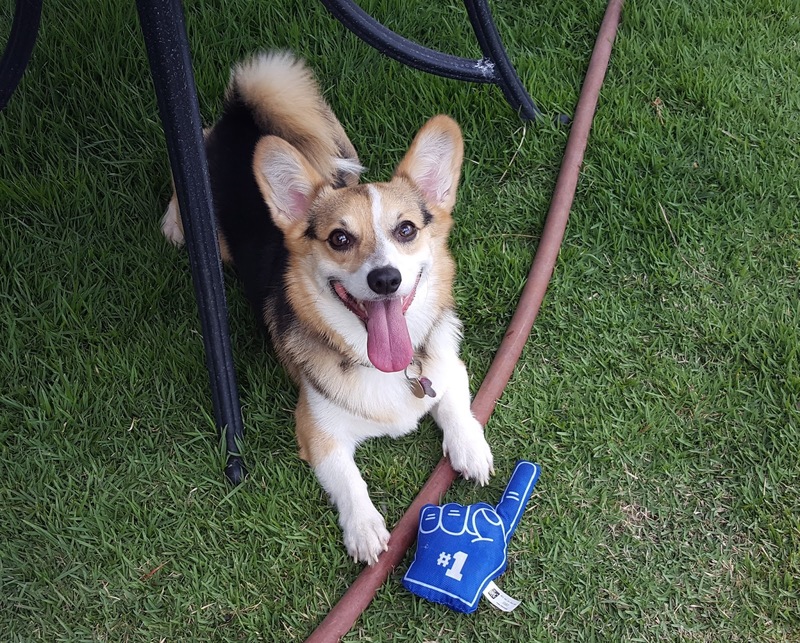 If your dog has tons of pent up energy that he likes to release in the form of destruction, I highly recommend Barkbox's heavy chewer option. 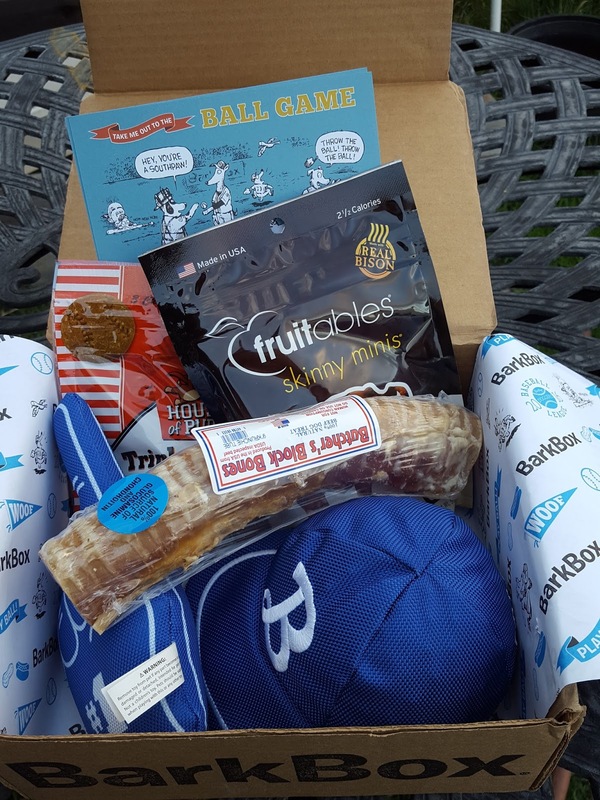 Use referral code DOGSYAY to get a box for as little as $18/month -- plus get a free box tacked on to your subscription just for using my code! The code has no expiration date and this offer is open to all new subscribers. They do!!! You should definitely get it. 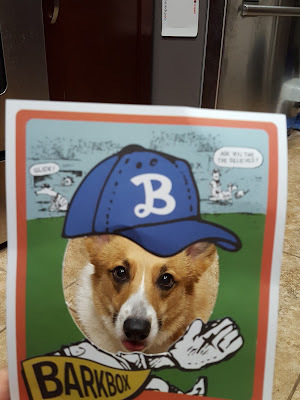 Pebbles was able to puncture the baseball finger on the first day, but it's filled with some kind of dense spongy material so there's no stuffing to be strewn about. But the cap is holding up well, and that's the one the dogs play with more often too!